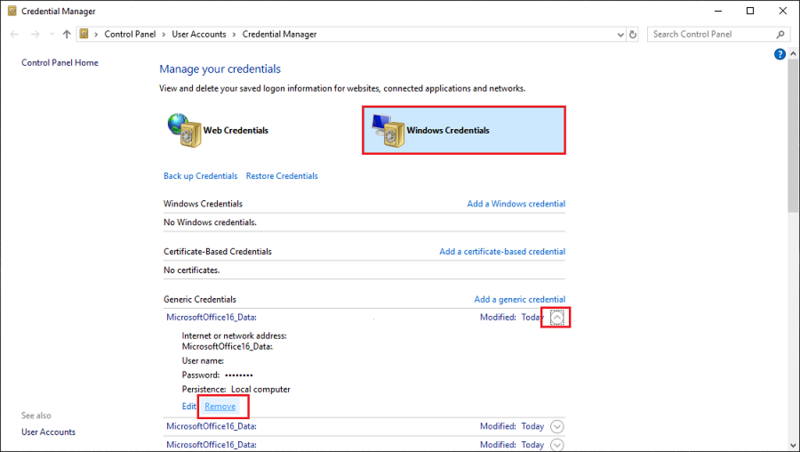 If a Windows computer or a user with a Windows computer is having lockout or credential issues, they may need to clear their credential manager. This article outlines this process. Select the Windows icon the the bottom left and search for Credential Manager. Click to open the Credential Manager. 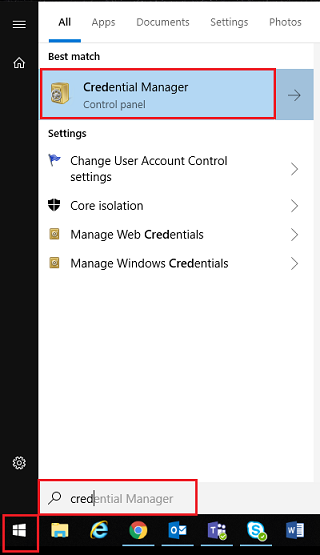 The window that opens gives you the option to see Web Credentials or Windows Credentials. Select a category. Find the credential you'd like to remove. Expand the credential using the arrow on the right. Repeat for each saved credential that you'd like to remove.